If you would like to make a credit or debit card donation to the NWTS Service then please contact a member of the Charity Team by calling 0161-276-4522. 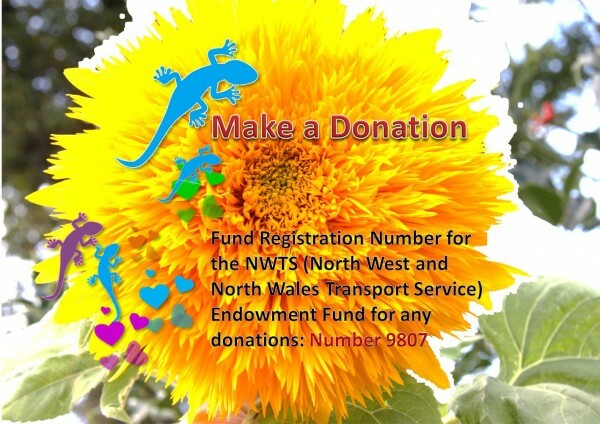 Please remember to have your card details to hand and to quote the NWTS Fund Number 9807. You can help us to make a difference by making a regular donation to the NWTS Charity Fund within Central Manchester University Hospitals NHS Foundation Trust Charity (CMFT Charity). Making a monthly donation enables us to plan for the future and helps us to continue to operate the best service possible. Giving a regular gift by Direct Debit is an agreement between you and NWTS Charity Fund of CMFT Charity to have regular donations taken from your Bank or Building Society. Once we receive your form, we will send you a letter of thanks and will provide you with a yearly update. If you would prefer to donate by Standing Order then please contact the Charity Team on 0161-276-4522 and quote the NWTS Fund Number 9807. You can increase your donations with Gift Aid - Each year, the Gift Aid Scheme raises tens of thousands of pounds for the Central Manchester University Hospitals NHS Foundation Trust Charity, helping to make your generous donations go even further. If you are a UK tax-payer we can claim back the tax you have already paid on your donations. The extra income comes straight from the Government, so you can increase your donations at no cost to yourself. The Charity will reclaim 25p of tax on every £1 you give on or after 6 April 2008. To qualify for Gift Aid, what you pay in income tax or capital gains tax must be at least equal to the amount claimed by all Charities and Community Amateur Sports Clubs donated to in the tax year. Paying Council Tax or VAT does not count as a tax paid to qualify for Gift Aid. Please contact the Charity Team on 0161-276-4522 for a Gift Aid form. You can leave a message outside those hours. We are always pleased to hear from you!